Hiking along a national park without many slopes is extremely different than going on a hike where at least half of the hike will be going up. 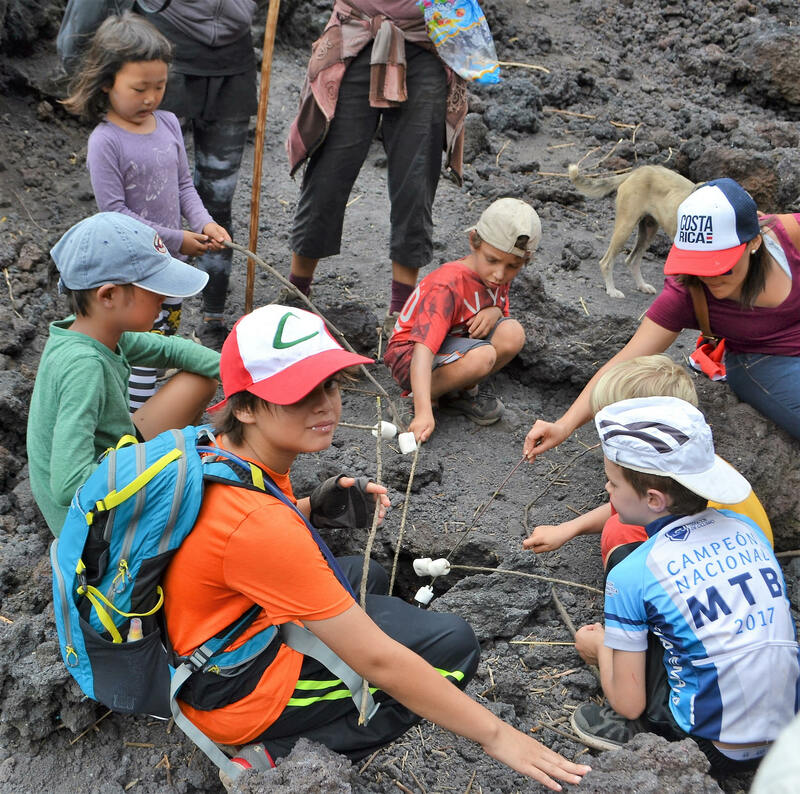 That’s why, while planning a volcano hike for your family, you should be more careful with preparations than usual, even if it is a relatively short volcano with the reputation of being an easy one. Living in Guatemala, I get to see volcanoes everywhere. No matter where you go, chances are, you will have at least one near you. In fact, there are 37 official volcano summits in the country. Three of them are actively erupting, while at least four or five more that people think are dormant but are actually active at extremely low levels. So I felt that hiking at least one is a must. My sons and husband have always been adventurers. Wherever we go, they want to jump in the water and swim, climb some rock wall, take a bike to explore trails or go exploring in the nearest forest. These kind of activities aren’t always my favorite, but I love that they are into adventure. I want to encourage them to keep on participating on all of those healthy hobbies. 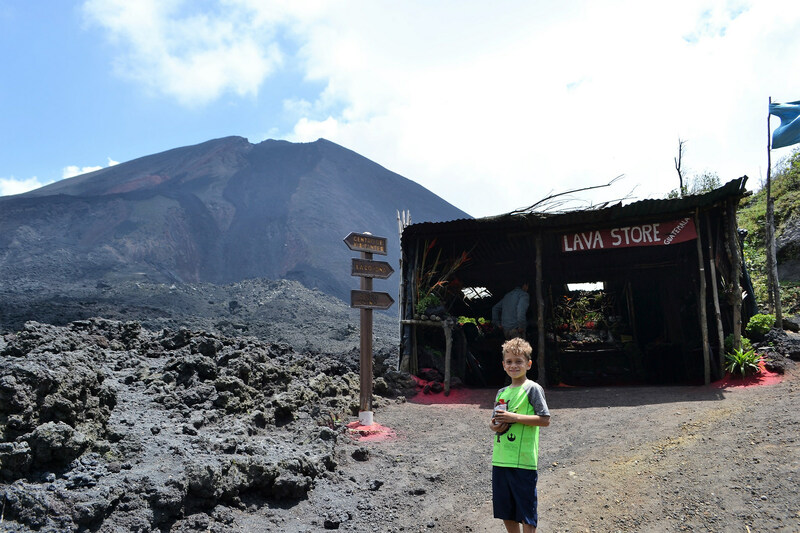 That’s why, when my sons mentioned that they wanted to go for a hike on a volcano, I immediately said yes and started thinking of the perfect place to go hiking. The volcano of choice was the active Pacaya Volcano. 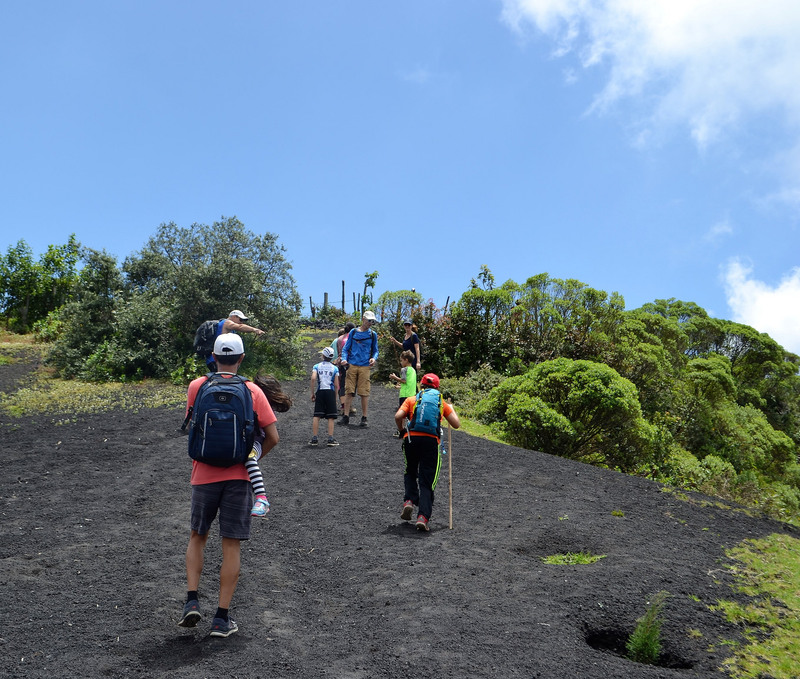 I heard it makes a fun day trip, the trails aren’t too complicated and – because you start the hike on a town that is almost halfway up the volcano – it doesn’t take long to get up there. Plus there are tons of local guides offering their services. Note: Since it is active, walking all the way up to the crater is not allowed. We invited some other friends to come with their families and it became an amazing activity for all of us. While planning the trip I learned a lot of things that I’d like to share with you. 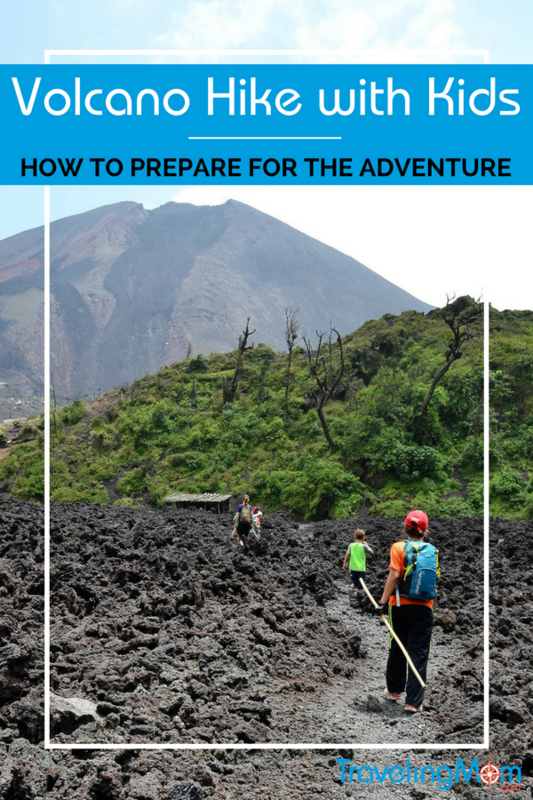 These are my favorite tips to keep in mind when planning your first volcano hike with kids. A lot of people don’t like to invest in a good pair of hiking boots for every member of the family. And that’s completely reasonable. Why make that investment if you don’t know if you are going to like it and continue doing it? a. How rugged are the soles? If any of you wear the flat shoes that are used for running in asphalt, you will fall a lot. They don’t grab the dirt and mud you’ll encounter on this hike. b. Do they have a good support? Forget about wearing stuff like Converse unless you want your feet to hurt like crazy and to potentially injure your knees. c. How well built are they? If they are the kind that are just glued together, you are running the risk of the sole falling off. This one is much more simple. Your best choice is to wear your gym clothes or anything made of synthetic materials. They dry much faster and allow your skin to breathe better. Even if you end up drenched in sweat, they are not too heavy. So basically avoid wearing anything made of denim or cotton. Also, having a good windbreaker that is also water resistant never hurt anyone. Kids not only walk slower but they also need to rest more often. 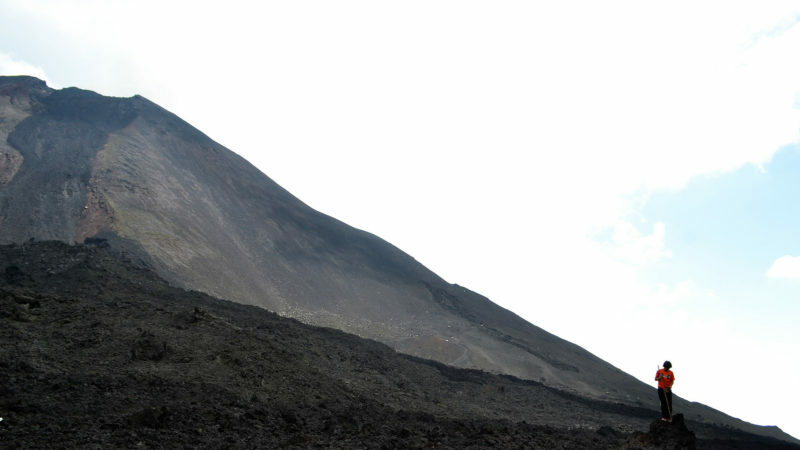 A tour of Pacaya Volcano usually takes three to four hours. But for a tour with kids, planning to stay there for a few more hours is a good idea. Plus they always notice small beautiful things that most of us ignore. Having more time allows them to explore and learn as much as they want. Plan on some games that they can all play during the hike. Tell them about how exciting getting to the highest part is. Be ready to improvise fun activities for them. For this trip, we told the kids all about how they could roast marshmallows inside of holes of naturally heated rocks. They loved it. Nature doesn’t need anything that you might have with you. So pack a few extra bags to bring back home everything you might think of as trash. If you can pick up some more trash that isn’t yours, even better. This beautiful practice will allow you to teach something positive to your kids. This way, the next generation can also enjoy the beauty of the place. It is a good idea to do this a few times before your trip, just so you decide if your kids can take it. This might also serve as training for them. These were some of the things we did before our trip. 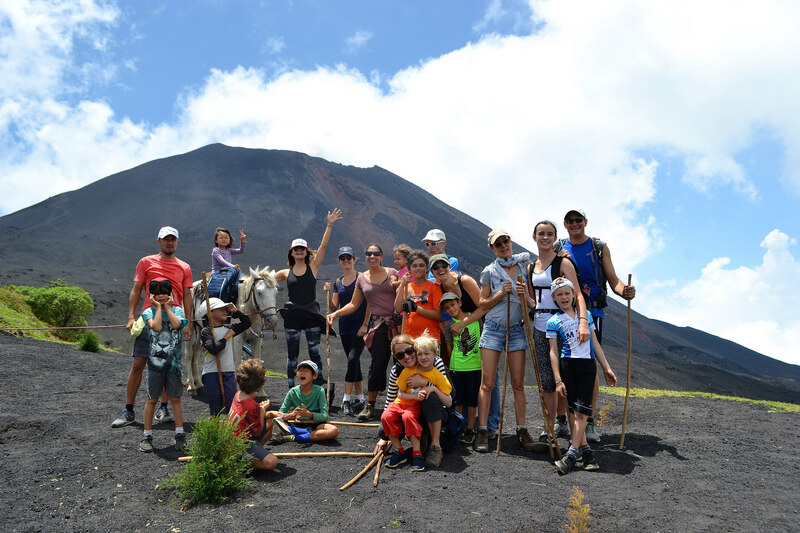 They ended up working perfectly and allowed us to enjoy the beauty of Pacaya Volcano in Guatemala. If you have any other tips for hiking with kids, please share them with us so we can all learn together.